It sounds absurd that after 7 years since Morgan appeared dying on the Dutch coast and five judicial pronouncements stated that her return to the sea would mean her death and her deafness has been proved, there are still organizations committed to denounce Loro Parque demanding her release. But that is a well-known strategy of some self-proclaimed animalistic groups: seeking the impact on the media and social networks to get attention and funds. Although they know perfectly well that Morgan has no chance of being released and that there is a firm sentence of the highest Dutch court that ratifies it since 2014. The Free Morgan Foundation has got us used to the scandal strategy. They file a complaint against Loro Parque, they publish campaigns in the media creating social alarm and worrying honest people who love animals and so they obtain funds for their organization. But when the administrations dismiss and reject these allegations as unfounded they never recognize their mistake and never make it public. They do not even put negative resolutions on their website to acknowledge its members. That is fraud. This week, the Dutch CITES Authority has dismissed the last appeal filed by the Free Morgan Foundation raised on the alleged illegality of Morgan’s CITES permit. A few months ago that same institution responded that the charge of the Free Morgan Foundation was unfounded since Loro Parque carries out scientific research with orcas and this it is not incompatible with education and awareness activities they promote with the permit issued in 2011. The CITES Spanish authority (also where the Free Morgan Foundation sent its protest) responded in the same terms in January of this year: “The transfer of the whale Morgan from Hharderwijk Dolfinarium in Holland to the facilities of Loro Parque in Tenerife in 2011 was carried out fulfilling the provisions of Article 9 of Regulation (EC) 338/97 and endorsed by the Dutch State Council ruling that the return of the animal to the ocean was neither an alternative nor a satisfactory solution”. However, do not bother looking, you will not find this information on the Free Morgan Foundation page. Unfortunately we know this will not be the last complaint, we are sure that the Free Morgan Foundation and some other minority groups will continue using the same scandal strategy simply because it’s economically profitable for them. Meanwhile, Morgan is happy with her new family, has almost reached adult size and weighs more than 2,100 kg. Her well-being is beyond doubt. 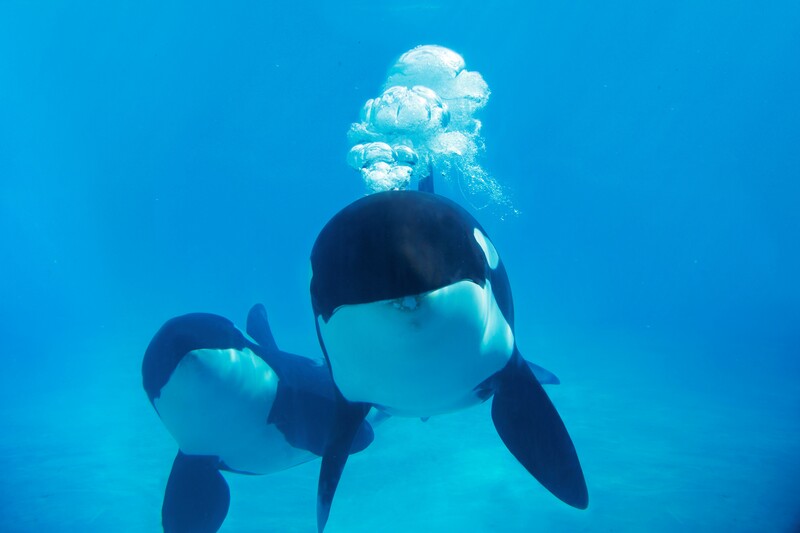 During a recent audit at Loro Parque by the American Humane Association, an organization that looks out for the well-being of animals around the world, it has been detailed that: “The activity and energy of killer whales is comforting. 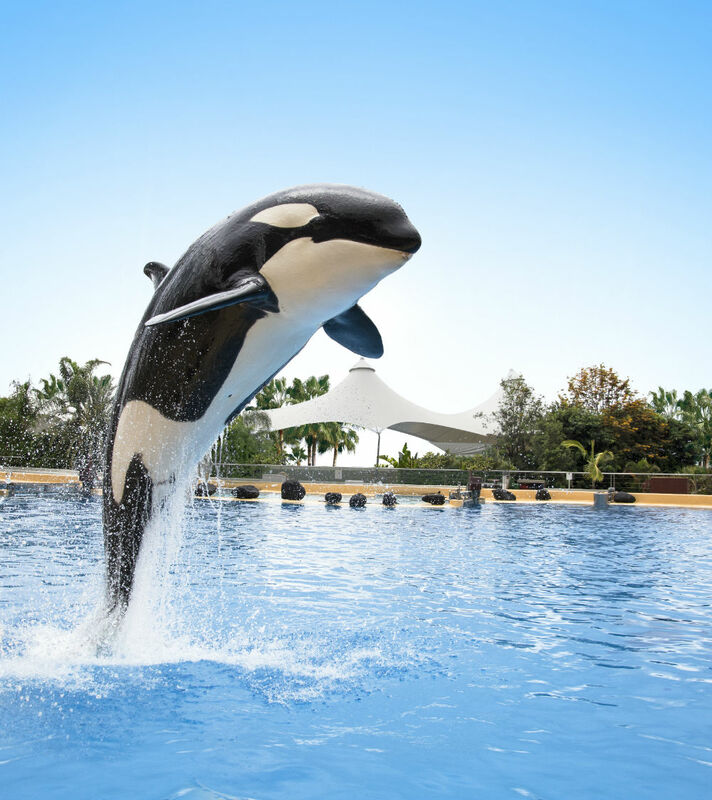 Coaches conduct six training sessions and three daily presentations; this stimulation facilitates a well-being exceptionally positive for the six orcas.” This, along with obtaining the highest rating (100%) of the British Association of Travel Agents (ABTA) welfare standards audited by Global Spirit, is what most satisfies us, the people who work at Loro Parque every day for the welfare of Morgan and the thousands of animals under our care. Zoos Are Not Prisons. They Improve the Lives of Animals. The recent death of Harambe—the Western lowland gorilla shot dead at the Cincinnati Zoo after a three-year-old boy fell into his enclosure—has ignited a fierce debate about the role of modern zoos. Some critics have seized the tragedy as an opportunity to advance an uncompromising anti-captivity narrative in which all zoos and aquariums are inherently unethical and cruel. To be sure, there are bad actors. The spawning of so-called “roadside zoos”—an exploitative enterprise known for its systematic negligence and abuse of animals—are some of the most egregious cases-in-point. But blunt and sweeping indictments of zoos and aquariums fail to account for how ethical institutions enrich and ultimately protect the lives of animals, both in human care and in the wild. 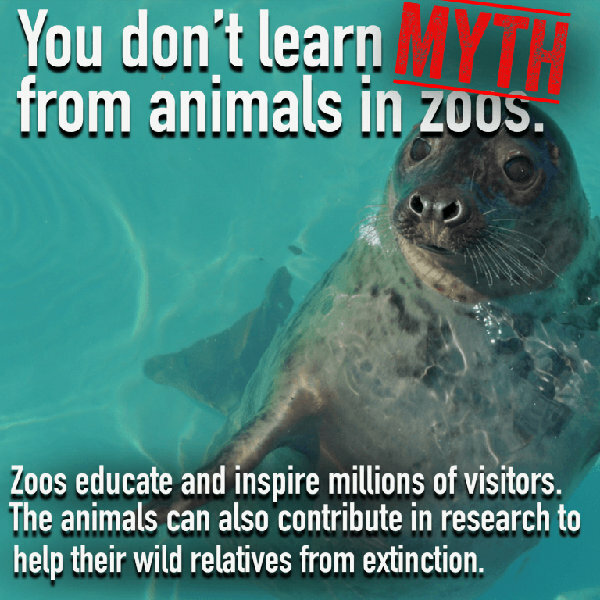 Responsible zoos and aquariums exist to facilitate and promote the conservation of animals. And the need for intensive conservation campaigns is now more urgent than ever before: Our world is currently in the midst of the “Sixth Extinction,” a term coined by Elizabeth Kolbert in her Pulitzer Prize-winning book of the same name. Unlike the five preceding die-offs, which were precipitated by natural events—such as those that killed off the dinosaurs, exterminating three-quarters of all species on the planet—the current mass extinction is a result of human activities encroaching on wild spaces. Today’s zoos and aquariums are uniquely positioned to combat those evolving threats. Using robust and sophisticated breeding programs, these institutions fund and facilitate countless initiatives to propagate species and preserve genetic biodiversity, and then reintroduce critically endangered or extinct species into the wild. Consider the Arabian Oryx, a striking breed of antelope from the Arabian Peninsula. The species was hunted to extinction in the wild nearly four decades ago, when the last wild Arabian Oryx was shot and killed in 1972. The Phoenix Zoo helped lead the ensuing breeding and reintroduction programs, which ultimately birthed more than 200 calves from just nine individuals. Now between Oman and Jordan, there are about 1,000 Arabian Oryx living in the wild. The Arabian Oryx—which has since been removed from the endangered species list—isn’t alone. 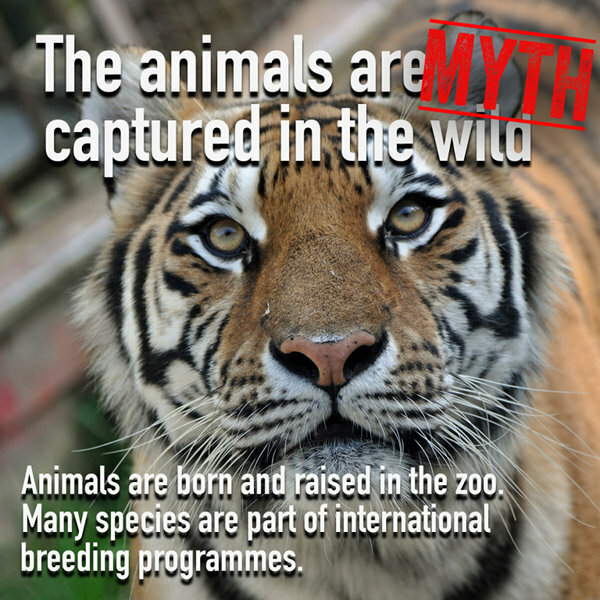 Breeding programs at zoos and aquariums have since saved numerous other species from extinction, including the European bison, the red wolf, and the Oregon spotted frog. 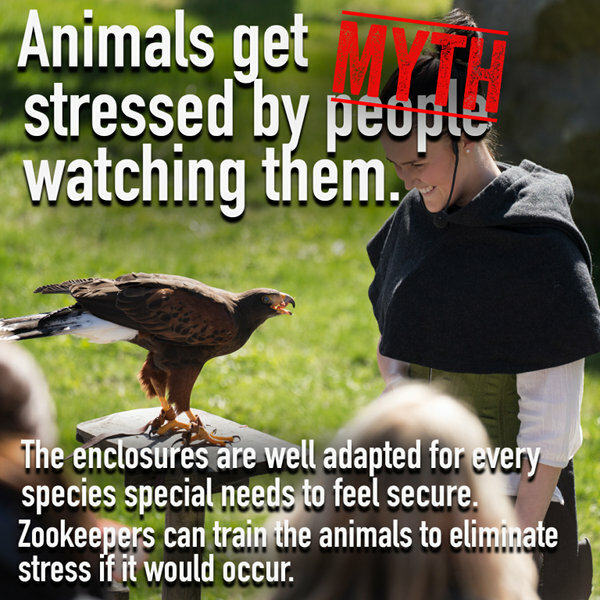 Even when animals are never introduced into the wild, placing them under human care can still improve the lives of their wild counterparts: Modern zoos and aquariums serve as bases for observation and research, which then helps protect wild animals. One compelling example is the study of animal infection and disease, currently the subject of numerous ongoing research projects at zoos worldwide. The Zoological Society of London, for instance, is developing innovative methods to assess the risks of animals contracting disease when they’re reintroduced into the wild. Smithsonian’s National Zoo in Washington is leading global research efforts on the detection and treatment of the sometimes-fatal elephant herpes virus, with the ultimate goal of developing an effective vaccine to be administered to the species in both zoo and wild populations. And the San Diego Zoo retains a staff of 20 experts dedicated to the study of treating wildlife diseases that threaten conservation. 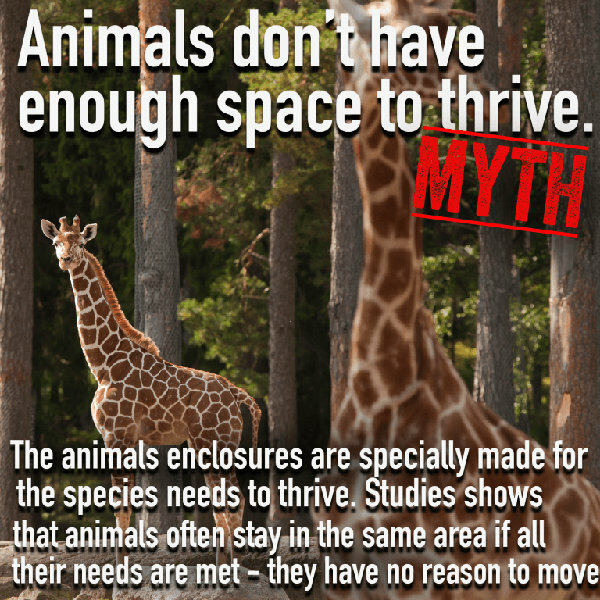 Of course, the positive contributions of zoos and aquariums in conserving wild animals cannot—and should not—outweigh the health and well-being of the animals living under the care of these institutions. That’s why American Humane Association is launching a global initiative to elevate the welfare standards of zoos and aquariums worldwide. The Humane Conservation program will be the first third-party certification devoted solely to verifying that animals living in these institutions are healthy, positively social, active, safe, and living with proper light, sound, air, and heat levels. And these standards will be set not by zoos but instead an independent collection of world-renowned experts in the fields of animal science, behavior, and ethics—a sharp departure from most existing accreditation programs, which are vulnerable to accusations of conflicts of interest and leniency. 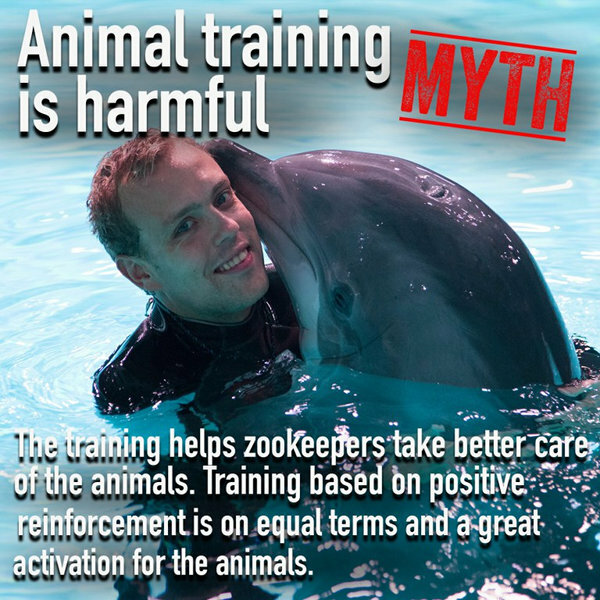 To some detractors, the humane certification of zoos and aquariums is an oxymoron. But vast empirical and academic research discredits this black-and-white view. Animals in zoos and aquariums today can live longer, healthier, and richer lives than their forbearers ever did in the wild. Go see for yourself. We all meet these myths almost every day. Lets just bust them once and for all, ok? Feel free to share and use, as you please. Animal activists have turned the plea of sick and injured animals into big business. In 2015, PETA raised over $48 million dollars, HSUS raised over $178 million and the ASPCA raised over $138 million. 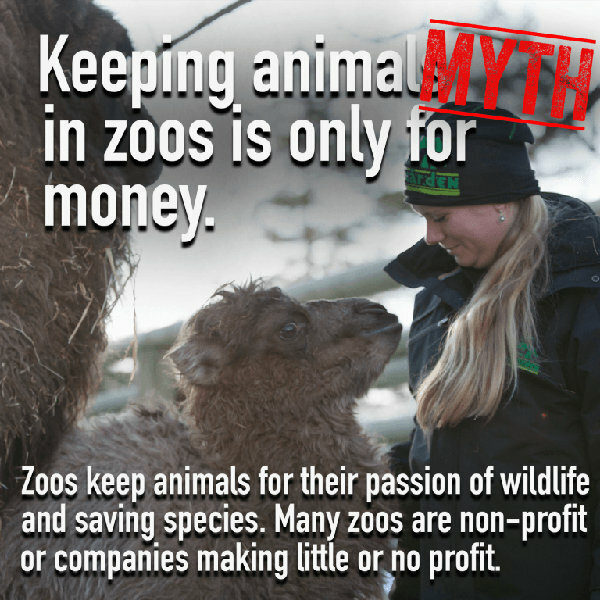 This big business relies on exploiting the plight of animals to get people to open their wallets. Most of us have found ourselves late at night watching TV when we hear the Sarah McLachlan music. You see videos of animals desperately in need of help, and like millions of other people, you reach for your wallet and donate. Recently someone on YouTube took the audio from an ASPCA and mashed it up with video of robots. The result is a video that pulls at your heart strings and demonstrates the brutal art of manipulating people with videos without context. This is how this big business works. The reality is that after hundreds of millions of dollars are donated to these organizations, very little animals are helped, and in PETA’s case, your money actually funds the killing of animals. When you look at how easily the robot video can be edited to pull at your heart strings, you can see how BlackFish manipulated viewers into thinking that SeaWorld needs to be shut down. The result of this manipulation is that people are condemning one of the world’s best zoological organizations – an organization that is actively engaged in protecting and saving wildlife around the world. While a donation to PETA will help kill animals, a day at SeaWorld or your local accredited zoological facility has a global impact that benefits animals worldwide. Next time you see a sad animal video, take a moment ask yourself if you are being manipulated. Once again the Aquarium of Loro Parque has been successful with its breeding program. 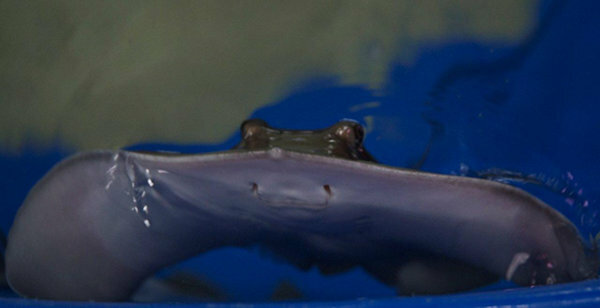 This time six young, strong and healthy, rays (Dasyatis Americana), in the Canaries known as “chucho”, were born. After an uncomplicated birth, the team of professionals in the aquarium decided to keep the youngsters in a floating tank within the big exhibition tank. This way they guaranteed that the newborns don’t suffer any brusque water changes but are protected from all other fish that lives in the big exhibition. These rays are Elasmobranchii of the Dasyatis family, whose area of ​​expansion is confined to the tropical and subtropical seas of the southern Atlantic Ocean, the Caribbean Sea and the Gulf of Mexico. They have a flat, diamond-shaped body, which is mud brown on top and white on the belly. It is a species that tolerates wide ranges of temperature and salinity and feeds on large invertebrates. Its reproduction is viviparous and can produce between 4 to 7 offspring. The gestation period is quite short compared to other species of rays; it only lasts four months allowing females to reproduce twice a year. The average size of these specimens is 40 cm wide, although the maximum records are 60 cm for females and 57 cm for males. Loro Parque once again shows its commitment to the protection and conservation of animals, demonstrating the success of its breeding system within a philosophy that has turned the zoo into the embassy of exotic animals. 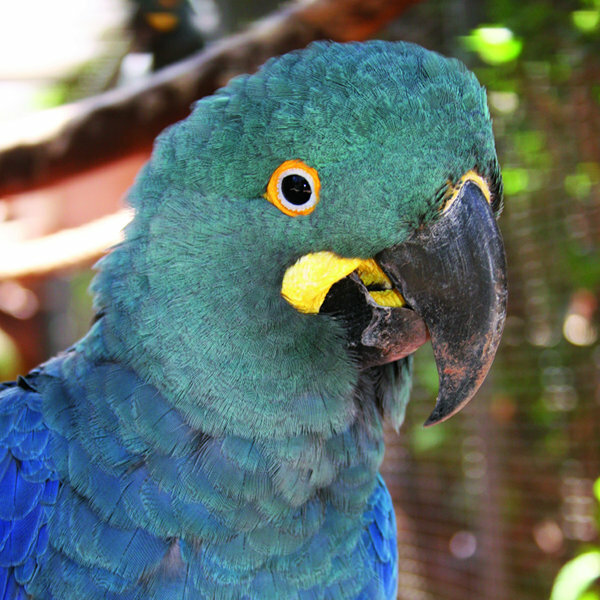 Loro Parque Fundación: the only zoological center in Europe that manages to reproduce the Lear’s Macaw. Loro Parque continues to obtain magnificent results with its breeding programs, and on this occasion, Loro Parque Fundación (LPF), as the only zoological center in Europe, has managed to reproduce the Lear’s Macaw (Anodorhynchus leari), an endangered species that lives in the north of Brazil and that currently is exhibited in the Park. Since 2006, when the Brazilian government first sent a pair of Lear Macaws for reproduction to Loro Parque, LPF has obtained 30 individuals born in Tenerife; nine individuals have been returned to Brazil already. 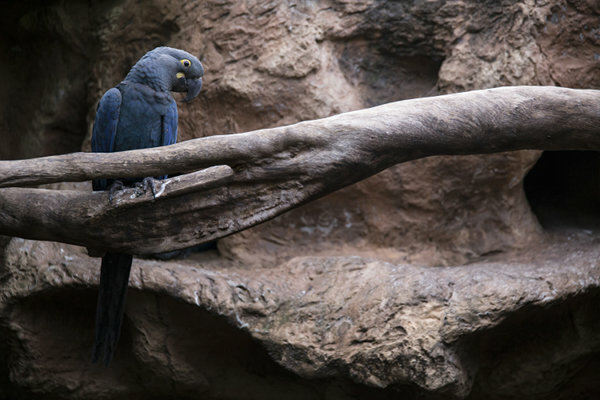 The acclimatization of the parrots has been fundamental in order to achieve such a successful breeding. The imitation of their natural habitat, the good climate and the food from the licuri palm tree – the same they feed on in Brazil – have been the keys for such good results. Lear macaws suffer illegal trade with the capture of its young, and when grown up, farmers chase after them to protect their corn. Their habitat is increasingly degraded by the use of land for cattle, and also by the indiscriminate collection of leaves and fruits of the licuri palm. Loro Parque Foundation has managed the recovery of the species and change the category of protection from ‘critically endangered’ to ‘threatened animal’; a very important step in conservation. Up to this date, nearly €500,000 have been invested in the protection of Lear’s free-ranging macaw, contributing to the definition of priority actions, previously studying its geographic movements and food resources, and sensitization of local populations on the importance of maintaining the licuri palm. The objective remains to situate Lear’s macaw as an unmanaged species, reducing its threats and recovering the wild population, in addition to protect this palm tree, essential for the long-term recovery of the species.